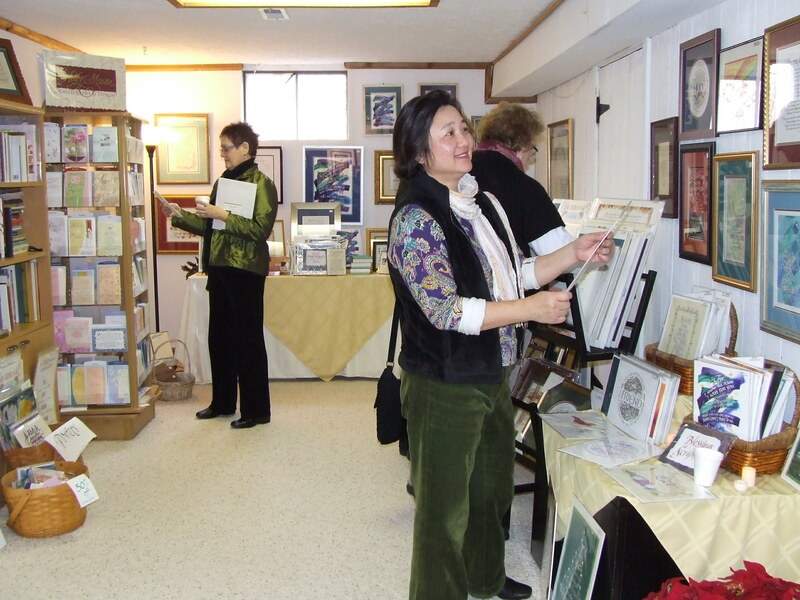 Thursday, December 12th, 2013 is the second of my Calligraphy Studio Open Houses. My doors are open from 10:00 am – 8:30 pm. You are welcome to come! 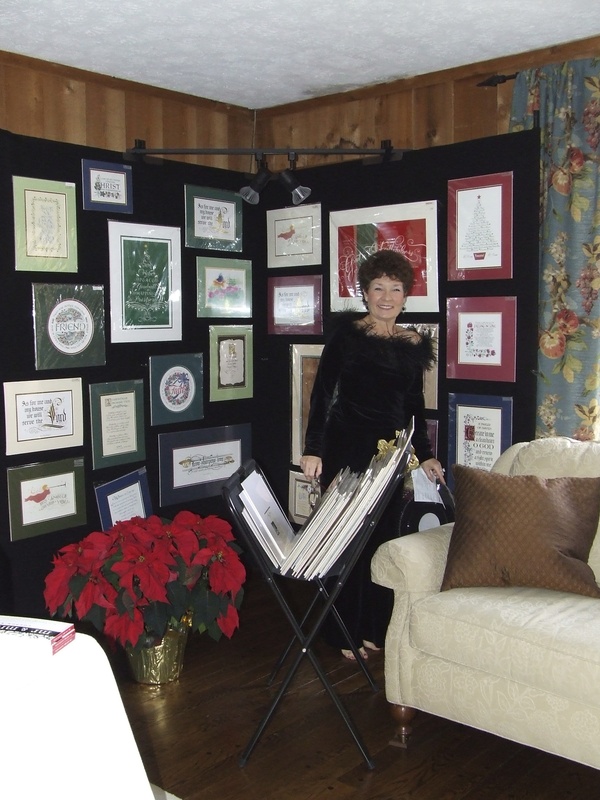 I’ve been doing calligraphy for close to 35 years, so it’s not hard to decorate 6 rooms in my home/studio with a variety of framed originals, reproductions (at great prices)-some of these matted and framed as well, mini-prints (a great gift size), greeting cards and some other gift items. 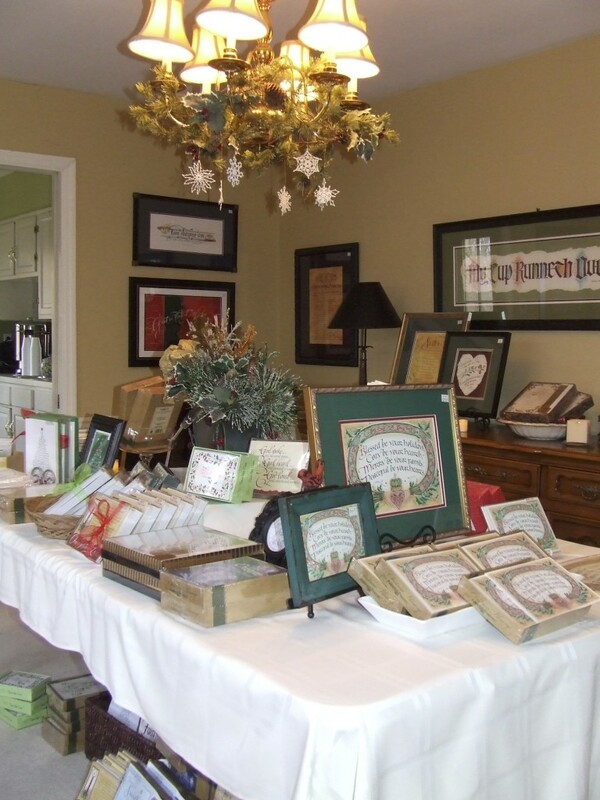 Come be inspired, sip hot wassail by the fireside, enjoy a few delicious cookies, music of the season and if you bring a friend you’ll receive a free mini-print. This year, the snow has set the holiday mood! Thank you to my faithful past clients and greetings to my new customers! Here are a few pictures from past Open Houses…. 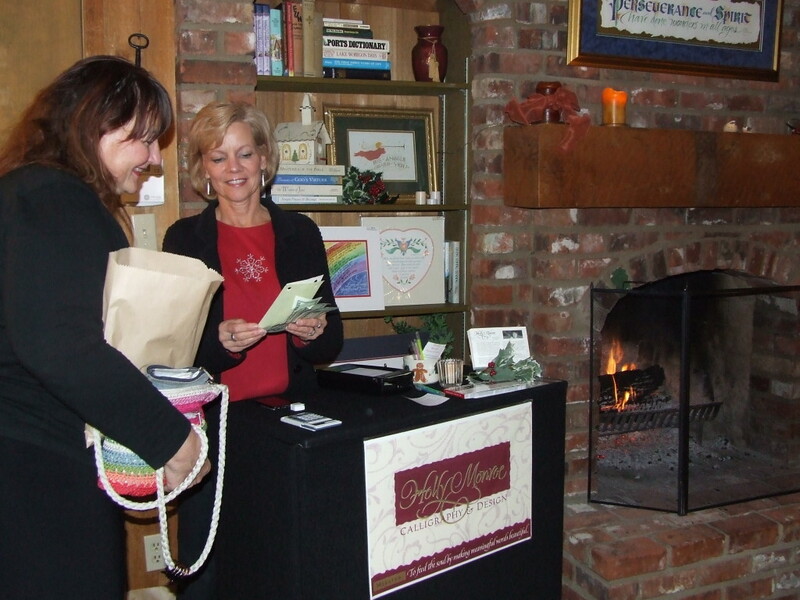 Below, hostess Terri making a sale by the fireside. The dining room table displays greeting cards and mini-prints. 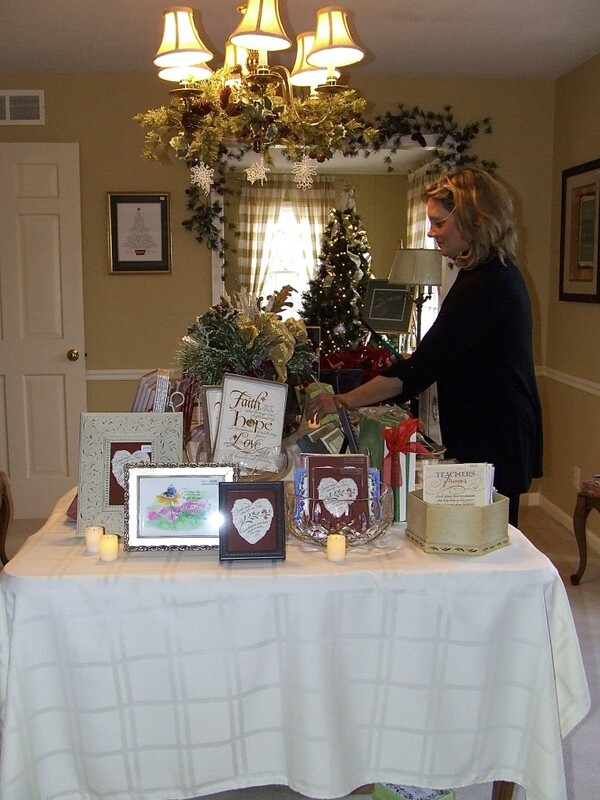 Hostess Julie lighting the candles….hope that you’ll join us! Call me if you have questions.